The Drift lenses are flared on the bottom for maximum peripheral coverage. 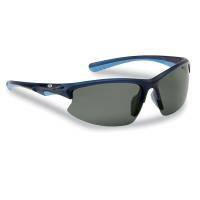 The polycarbonate frames include super comfort, non-slip nose and temple pads for all day wear on the water and are available in Matte Crystal Navy with smoke lenses and Matte Black with Copper lenses. 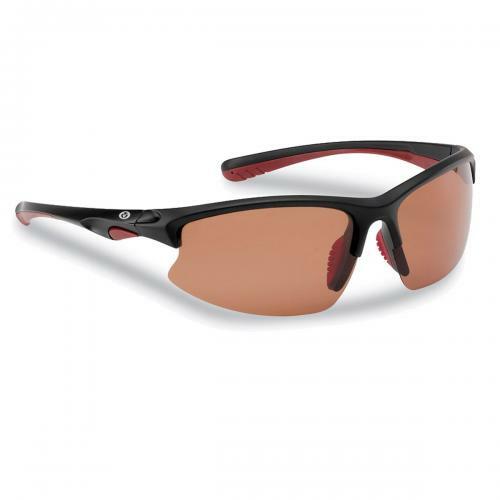 They’re a great all around pair of fishing sunglasses that meet both performance and comfort challenge. Polarized Lenses Eliminate Glare and Reduce Eye Fatigue. Polarized Triacetate Lenses are Impact and Scratch Resistant, Lightweight and Durable. AcuTint™ Lens Coloring System Adds Color Contrast Without Distorting Natural Colors, Allowing You To See More Clearly. 100% Protection From Harmful UVA and UVB Rays. Limited One Year Warranty.